Salman Khan proves he is the fashion king and how! Bollywood heartthrob and box office ruler Salman Khan is also a fashion king and his photos in which Salman Khan is seen carrying any style and outfit so effortlessly is proof! May it be at events, shows or while he is hosting Bigg Boss, Salman Khan leaves no stone unturned to win millions of hearts with his style statement and his latest photo shared by Being Human clothing’s official Instagram account is proof. He is the heartthrob of India, the box office king and the best human being, he is none other than Dabangg actor Salman Khan. The Bhaijaan and Sultan of Bollywood is not only a phenomenal actor, a successful producer and a great singer but a fashion king as well. Whatever Salman Khan wears, becomes fashion. He has been a trendsetter with every style he carries. The best part about Salman Khan is that he can carry any outfit with utmost grace and carries himself so effortlessly. 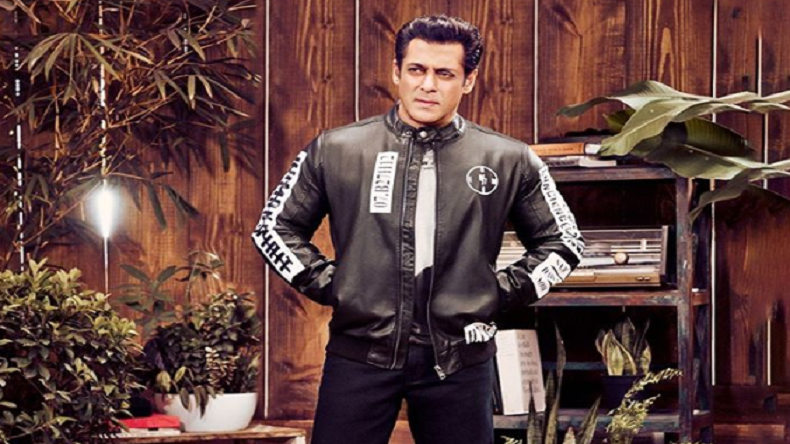 May it be at events, shows or while he is hosting Bigg Boss, Salman Khan leaves no stone unturned to win millions of hearts with his style statement and his latest photo shared by Being Human clothing’s official Instagram account is proof. Dressed in a super cool black jacket with a black and white tee and blue denim jeans, Salman Khan looks dapper as he poses for his clothing brand Being Human. No one rocks this season's style better than @beingsalmankhan with a blend of dark tones and a super cool jacket to complete the look. Get your hands on our specially stylized jackets, dark tones pairings, cosy winter wear and rock the festive parties with the perfect amount of swag. #BHCeleb #SalmanKhan #BHMen Shop The Collection Now: Link in Bio. Salman Khan has a strong, loyal and massive fan base across the globe and is one of the biggest superstars of Bollywood. With back to back blockbusters and 3 films in the 300 crore club, Salman Khan is the ultimate box office king! He was last seen in Race 3 and is currently shooting for his upcoming film Bharat which is being helmed by Ali Abbas Zafar and stars Katrina Kaif in the lead role!